Our Church is a Church of England parish church in the catholic tradition. We have a mixed choir of adult and junior members and are joined sometimes by friends from other choirs. 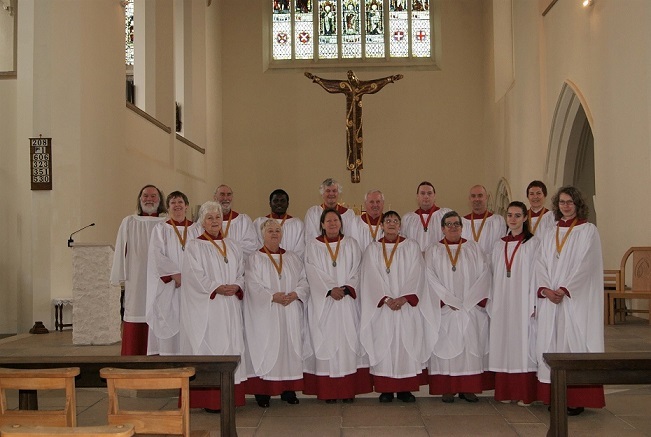 Our repertoire covers from the 9th century to the present day and includes items by local composers.We have sung in other churches and at Portsmouth Anglican cathedral. We are affiliated to the RSCM, but our music is not overly complex. We have fun and are enthusiastic about what we do.